Despite living smack in the middle of the country with plenty of wide open spaces and not a whole lot of anything to run into, Kansas is basically a "No Drift" state. 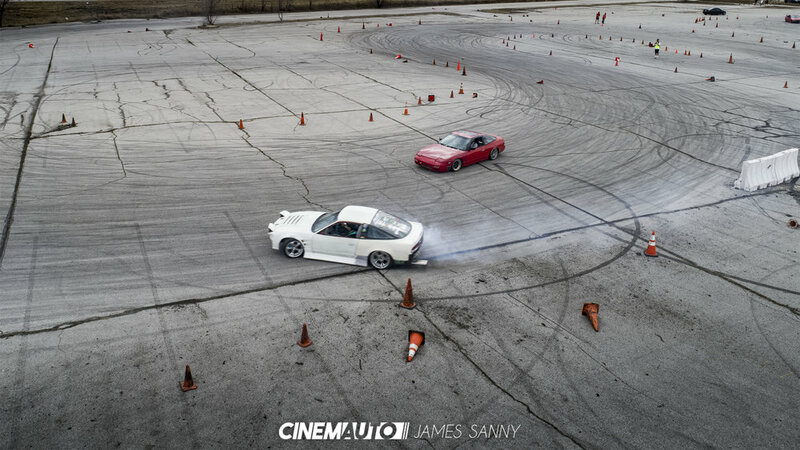 Recently we've started to see some activity up in the Topeka area when the biannual Import Face Off show comes around, and Kansas City has a pretty decent group of enthusiasts who throw together regular events.. but that's pretty much it. So if you're a fan of flicking a car sideways and praying your tires can hold out just a little bit longer you're basically an outlaw in these parts. While most in our area haven't had many opportunities to experience the destruction of affordable rear wheel drive cars and cheap tires firsthand, surrounding states have made an attempt to remedy the situation. Oklahoma is just one of these states catering to drivers who like to dance with the Devil, offering up a variety of events and locations throughout the season. The folks in charge at these events? Full Lock Drift. Reaching out earlier in the week, we were able to secure a spot on the course to catch some of the action and free tire samples. Having only done this once before, from behind the safety of a cement barrier, access here painted an entirely different picture. To say we were thrilled is an understatement. For the full gallery from our time at Cabin Fever, check out our Facebook page.